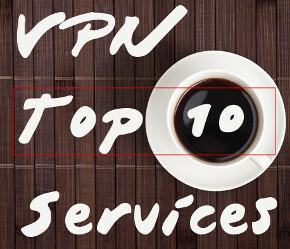 Here are a selection of cheap VPN services I’ve found. Prices vary, but there are different features and contract lengths to consider. I’ve chosen my Top Four. For a bit cheaper ($6.25 per month) you can sign up for PureVPN. PureVPN is a smaller company, with a few limitations, but they’re a great cheap VPN service. For $6.25 you’ve got to sign up for a year ($75 per year), and you’re limited to 30 GB of bandwidth per month. This limitation will only affect serious downloaders and file sharers. They offer SSTP, L2TP, and PPTP VPNs for most major operating systems, plus they’ve got live support. StrongVPN has a super cheap year package for $55 dollars, which means you’ll pay only $4.58 per month. As you’d expect, this comes with some limitations. There’s a whole chart setup you can check out, but I’ll warn you, its kind of complicated – you have to know what you want. Some limitations mean you can’t use it on a mobile device, some mean that you can only use PPTP, some are server location limitations and there are more conditions. However, it’s a very cheap VPN service, and you probably won’t find anything cheaper online.